Set to a musical theme, love’s poetic journey in this new, original collection begins with a Duet and travels through Interlude and Finale with an Encore popular piece from the best-selling Love & Misadventure. Lang Leav’s evocative poetry speaks to the soul of anyone who is on this journey. I bought Lang Leav’s first book, Love & Misadventure, at the same time as I purchased Lullabies. 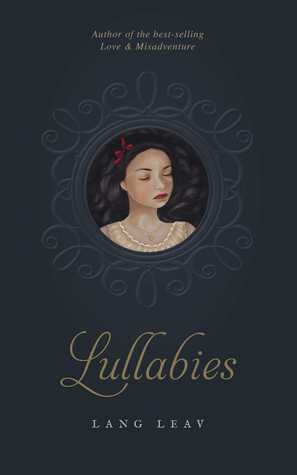 Lullabies is her second book of poetry. Lullabies feels much more grown up than Love & Misadventure. I hope Lang Leav keeps trying to grow as a poet. its rings once it has been felled. the desire to be reborn. I wish I could wear my rings on the surface and feel less ashamed of them. like a newly pressed garment, a still pond. I still love you anyhow. Lang Leav’s poetry definitely isn’t for everyone. But I do think it does appeal to some people, especially people (like me) who aren’t all that fond of traditional styles of poetry. Lang Leav writes a very accessible type of poetry and I find that very appealing.